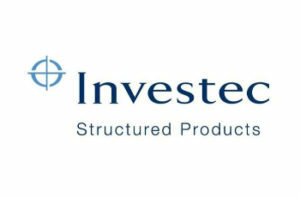 The Step Down Kick-Out Plan from Investec will ‘kick out’ and return your original investment along with 7.25% for each year invested (not compounded), provided the level of the FTSE 100 Index is above the required level at the end of each year. The required level is 100% of its starting value at the end of year 2, and then reducing by 5% each year thereafter, down to 80% in the final year. So if the plan kicks out in the final year, you would receive 43.5% growth along with a full return of your initial investment. If the FTSE is below the required level each year no growth return will be achieved, and at the end of the plan your original capital will be returned unless the FTSE 100 Index has fallen by more than 40% from it’s initial level. If it has, your initial capital will be reduced by 1% for each 1% fall, so you could lose some or all of your initial investment. This plan is our best selling defensive investment, and so maybe it’s the balance between a good level of growth and still receiving a return even if the market goes down slightly, that makes it so popular. Reduced arrangement fee: For investments of £100,000 or more into this plan, processed through Fair Investment Company, your arrangement fee will be reduced to 2% of your original investment. Please provide a telephone number. Please provide the first line of your address. Please provide your city or town. You must agree to our terms before submitting. Checking this box means we will keep you informed by email of products, services and other exciting offers we think may interest you. Fair Investment Company Limited, of registered address Kings House, 14 Orchard Street, Bristol, BS1 5EH is authorised and regulated by the Financial Conduct Authority (FCA). Our FCA registration number is 192852. You can check that we are registered by checking the FCA website at www.FCA.org.uk or by writing to: The Financial Conduct Authority, 25 The North Colonnade, Canary Wharf, London, E14 5HS. We offer a non-advisory service which provides customers with information to assist them in selecting products they feel are most appropriate for their needs. Nothing in the www.fairinvestment.co.uk website or in any of the documentation/information sent to you shall be deemed to constitute advice or a recommendation to purchase a particular product or service. If you are in any doubt as to the suitability of the product or service we suggest that you seek independent financial advice. When you use our service we will take this as acceptance and agreement of our terms, and you will be bound by them. We will not provide you with personal financial advice and therefore do not have a duty to ensure suitability. This means that you will not be entitled to compensation from us, if it is established that the service or product you select is not suitable. It is your responsibility to take into account your circumstances and objectives and make your own judgement as to suitability. Fair Investment Company Limited effectively acts as an “introducer” and will introduce you to other companies who provide financial products and/or services. When acting in this capacity the terminology used will vary between companies but includes ‘intermediary’ and ‘financial adviser’, albeit on a non-advised basis in all circumstances. Our website provides you with the opportunity of researching and selecting financial products over the Internet. Investment products featured on the website are promoted on a non advised sale basis. This means that in many cases we will send to you at your request product information and key features of a specific investment and, if you decide to proceed, we will process the application for you. We also offer the opportunity for you to obtain independent mortgage and protection advice from Fair Mortgages, a trading name of Fair Investment Company Limited. Such advice is provided to you directly by Fair Mortgages independently of us and on terms that you agree with Fair Mortgages. Fair Mortgages will advise you separately about this advised service. We will exercise due care and diligence in conducting business with you. We are not however liable for any loss or fall in the value of any investments. Please be aware that the value of investments can fall as well as rise, and that you may not get back the full amount invested. The price of investments may depend on fluctuations in the financial markets, which are outside our control. Past performance is not necessarily a guide to future performance. Please note that the FCA does not regulate all of the products featured on the website. For example, the FCA currently does not regulate commercial mortgages/finance, credit cards and some forms of buy to let mortgages and secured loans. We are not authorised by the FCA to handle client money. We never accept cheques made out to us unless it is in settlement of charges which you have agreed and confirmed to pay. In addition, we do not accept or handle cash. We will register all investments in your name unless otherwise agreed in writing. All documents of title in respect of investments will be forwarded to you directly by the investment manager. We will aim to acknowledge receipt of your application form (except online application forms) within two working days of receiving your application form. We are covered by the Financial Services Compensation Scheme (FSCS). You may be entitled to compensation under the scheme if we cannot meet our obligations. This depends on the type of business and the circumstances of the claim. As at January 2013 most types of deposit business are covered up to a maximum of £85,000 (reducing to £75,000 from 1st January 2016) and most types of investment business are covered up to £50,000. Further information about the compensation scheme arrangements is available from the FSCS website: www.fscs.org.uk. As no advice has been provided by Fair Investment Company Limited, please be aware that certain investments may not qualify for cancellation during a cooling off period. If any of the products or investments you take out have a right of cancellation, full details can be found in the individual product literature which should be read carefully noting that some investments will have no such rights. We will enter into communication with you through whatever means are convenient for you and for us, including telephone, email and other acceptable electronic communication methods. We will endeavor to deal with your application within the same day of receipt. We utilise Royal Mail Services via either recorded delivery or special delivery. Whilst every attempt is made to ensure that we process your application within the same day of receipt, we cannot guarantee that your application will be processed before any product deadline and will not be responsible for any delay beyond our control. For ISA transfer applications we are not liable in the event of delays and cannot guarantee the transfer will meet any application deadline. You should check first with your existing ISA manager that transfers are permitted, and whether they will impose a charge for transferring. Please note that there is the potential for the loss of income or growth whilst the transfer is pending. In the event that your application fails to meet a product deadline we will inform you as soon as possible and your application form and any cheque payment will be returned to you or destroyed. We may approach a third party (i.e. credit reference agency) to confirm your identity, or any other person providing funds on your behalf and by dealing with us we accept this at your consent. We may also run additional verification checks at a later date should this be necessary, where further information is required, to confirm identity. We may delay applications until adequate identification has been provided. We reserve the right to refuse to execute a transaction requested by you if we deem that you have insufficient knowledge and experience (or have provided insufficient knowledge and experience with respect to the transaction) to clearly understand the risks involves with the proposed transaction. Fair Investment Company Limited is registered under the Data Protection Act 1998. We will use the information you provide to us to process your application and provide you with information that we consider will be of interest to you. Processing includes obtaining, recording or holding information or data, transferring it to other companies associated with us, product providers, the FCA or any other statutory, governmental or regulatory body for legitimate purposes including, where relevant, to solicitors and/or other debt collection agencies for debt collection purposes and carrying out operations on the information or data. We may also process information about other individuals (e.g. your spouse) which you provide to us. In providing such information on other individuals you agree that you have obtained those individuals’ consent to our processing information about them. Upon request, we will supply copies of entries in our records relating to your transactions. You may be charged a fee (subject to the statutory minimum) for supplying you with such data. We undertake to retain such records for at least six years (and many documents we retain for a significantly longer period) from the date of each transaction. If at any time you wish us or any company associated with us to cease processing your personal data or contacting you for marketing purposes, please contact The Data Protection Officer at our address. If you wish to register a complaint, please write to the Compliance Officer at Fair Investment Company Limited, 20 The Mall, Clifton, Bristol BS8 4DR or contact us on 0845 308 2525. Whilst every attempt has been made to ensure that the information on the website and that which is being sent to you is correct and up to date, no warranty or representation is given as to its accuracy or reliability. Whilst the website covers a wide range of products, you should also be aware that there may be other products available on the market, which are not shown on the site, and which may or may not be more competitive. You will pay for our services on the basis of introductory fees or commissions received via third parties. 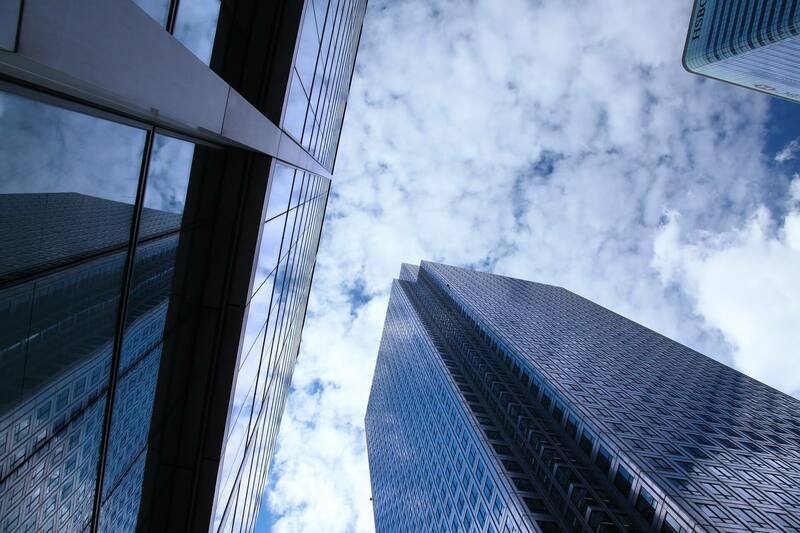 Fair Investment Company is entitled to an introductory fee of up to 3.5% of the amount invested in respect of an investment, however, the actual amount that we receive will depend on the type of investment effected on your behalf. Where no commission is paid by the third party provider our introductory fee will be requested from you directly or will be taken as an initial charge from your investment. This introductory fee will be no more than 3.5% of the amount invested and the exact amount will depend on the type of the investment effected on your behalf. This will be clearly stated to you prior to investing. For investments in collective investments such as unit trusts, open ended investment companies (OEICs) and venture capital trusts (VCTs) we have elected to receive no introductory fee in order to enhance the terms to you. In addition, a trail commission of up to 0.5% each year may be payable to us and again this is included within the standard charging structure of the investment. For savings products we either take an initial commission or a trail commission, but not both. You will receive full details of the introductory fee/initial commission payable/given up and the trail commission to be paid directly from the investment manager. Collective investments (unit trusts, OEICs, etc) Nil initial commission plus up to 0.5% of your fund value each year, so £0 initial commission plus £6 trail commission in year two and so on (the actual amount in later years will vary in line with the value of your fund). The trail commission is included within the standard charging structure of the investment. Savings Accounts Accounts pay either initial commission (up to 1.2%) or trail commission (up to 0.4%), but not both. So depending on the product it could be £1.20 initial commission, or £4.80 trail commission in year two and so on (actual amount will vary in line with the value of your savings account). Collective investments (unit trusts, OEICs, etc) Nil initial commission plus up to 0.5% of your fund value each year, so £0 initial commission plus £150 trail commission in year two and so on (the actual amount in later years will vary in line with the value of your fund) The trail commission is included within the standard charging structure of the investment. Initial commission of up to 3%, so Fair Investment Company will receive £1,050. This commission will be paid directly to us by the product provider and is taken into account within the standard charging structure of the product. Where no commission is paid by the product provider our introductory fee will be taken as an initial charge from your investment. This introductory fee will be no more than 3% of the amount invested. No annual trail commission will be payable. Venture Capital Trusts (VCTs) Initial commission of up to 2.5% plus up to 0.5% of your current fund value or initial investment each year, so up to £750 initial commission plus £150 trail commission in year two and so on (the actual amount in later years may vary in line with the value of the your investment). Please refer to the individual securities note for how the initial commission is paid. Unless we tell you otherwise, the trail commission is paid to us directly by the investment manager and is included within the standard charging structure of the investment. Savings Accounts Accounts pay either initial commission (up to 0.3%) or trail commission (up to 0.4%), but not both. So depending on the product it could be £90 initial commission or £120 trail commission in year 2 and so on (actual amount will vary in line with the value of your savings account). The Fair Investment Company website contains links to other websites. Fair Investment Company cannot accept responsibility for any information given or advice provided by these other sites. The Fair Investment Company website is aimed at UK residents and those ordinarily resident only and the terms and conditions are governed by English Law. Those considering investing through Fair Investment Company but who are currently residing outside of the UK should contact Fair Investment prior to proceeding.